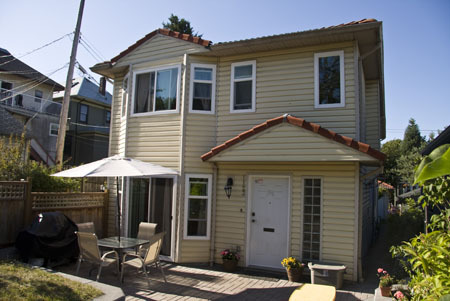 Come and experience the true Vancouver in this beautiful house in a quiet east side neighborhood. 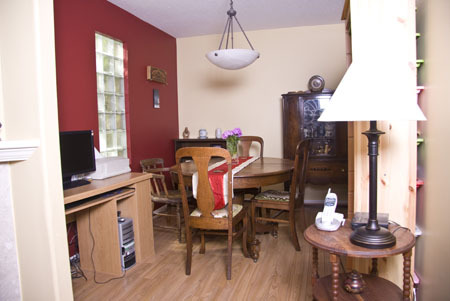 It comfortably accommodates 7 guests in 3 bedrooms and a futon on the main floor. It is close to trendy areas, parkland and mutli-cultural Commercial Drive, yet far enough to ensure a restful night after a busy day at the Olympics. 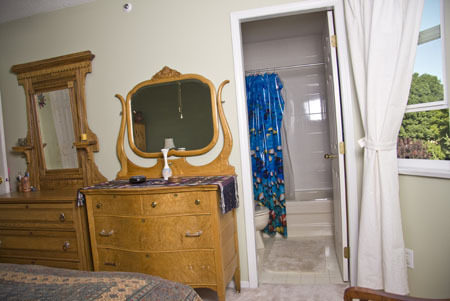 You will feel at home as soon as you walk in the door. The front yard has been re-designed with a massive patio with outdoor seating and gas barbecue. 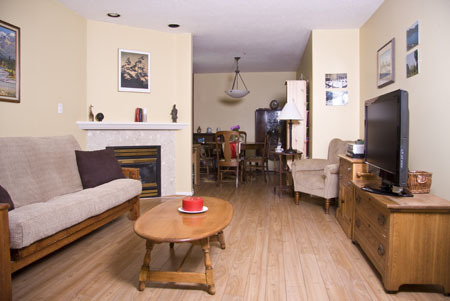 The large living and dining room is tastefully decorated with laminate flooring, a gas fireplace and a 34 inch flat screen TV. 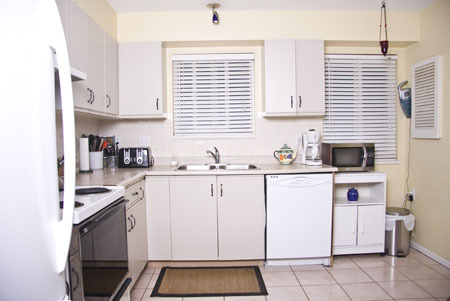 The kitchen is spacious with new appliances and all amenities. 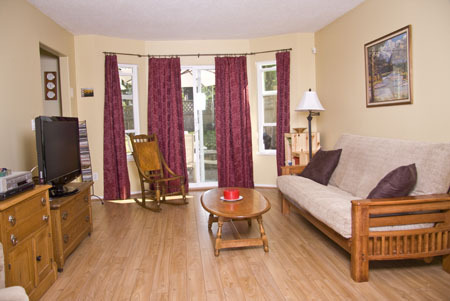 Upstairs are 3 bedrooms and 2 full bathrooms. 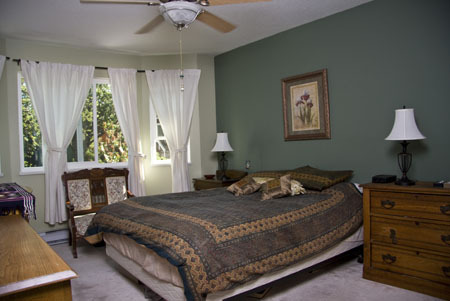 The master bedroom is furnished with antiques and has a full en suite. 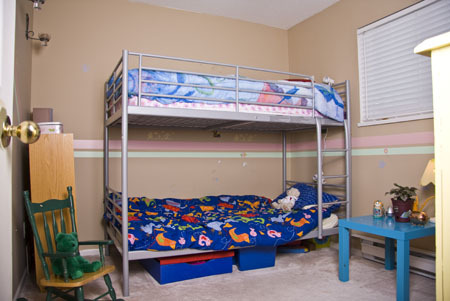 The second bedroom is perfect for the kids with a fun bunk bed. Mt. Pleasant is a perfect area to enjoy the Olympic Games. Several buses are within a 5 minute walk which will whisk you to Olympic sites, the Athletes Village and downtown. The Sky Train is a mere 10 minute walk which will carry you to the airport and to Olympic venues. 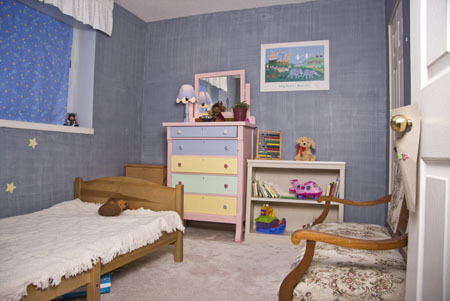 There is easy access to the main route to Highway 1 east and Highway 99 south to Richmond and the U.S. border. 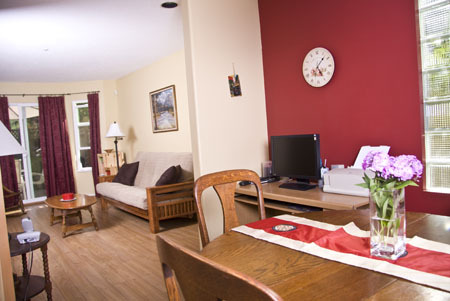 Conveniently located between the 2 bridges taking you to the North Shore and Whistler. Trout Lake is a 5 minute drive away with a tranquil lake, playgrounds as well as the training facility for skating. Mt. Pleasant Gem is nestled between trendy Main Street with many antique stores and multi-cultural Commercial Drive with shops, restaurants of many kinds and Little Italy-the best coffee in town! A shopping mall is very close with a grocery store, drug store, liquor store and various other shops. Double futon in the living room.